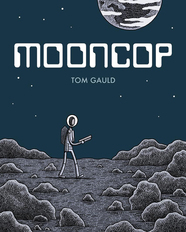 The Giant 2016 Graphic Novel Roundup! 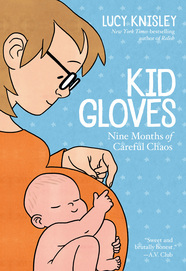 The saying goes, “A picture is worth a thousand words” and that’s certainly true of graphic novels. 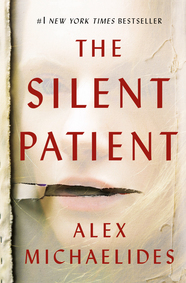 Thanks to comic book characters dominating pop culture, the format has been enjoying a boom and readers are coming to the medium in droves. 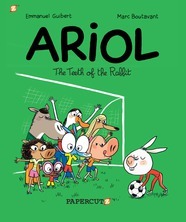 Publishers Weekly recently profiled graphic novel publisher Papercutz, which publishes between 50 and 60 books per year, mostly aimed at children ages 8–12. 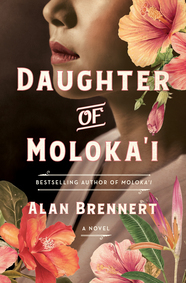 Their Super Genius imprint publishes books for teen readers and a new imprint called Charmz, aimed at pre-teen & early teen girls, will launch in May 2017. 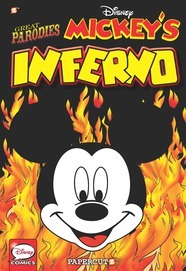 Papercutz’s catalog includes bestselling licensed media properties, such as Barbie, Dennis the Menace, the Smurfs, Lego’s Ninjago and Bionicle series (though Lego moved the licenses to Little, Brown last year), a line of classic Disney graphic novels (DANTE’S INFERNO becomes MICKEY’S INFERNO, and X-MICKEY features X-Files-type supernatural escapades), as well as graphic novels based on a first-look deal with children’s TV network Nickelodeon. 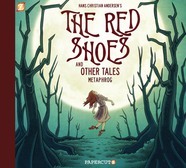 Papercutz also rebooted select classics (WUTHERING HEIGHTS, THE JUNGLE, and THE INVISIBLE MAN to name a few) with artwork from acclaimed contemporary artists such as Rick Geary, Peter Kuper, and Gahan Wilson. 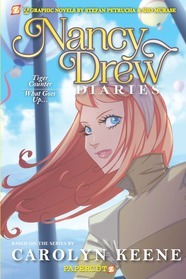 Their first list in 2005 featured a manga-style graphic novel revival of the classic Nancy Drew and Hardy Boys adventure series, which are still in print and have together sold more than 800,000 copies. 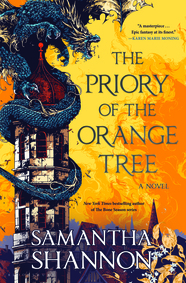 Foreign imports are big, including France’s popular Ariol series by Emmanuel Guibert and Guillaume Bianco, and Antonello Dalena’s Ernest and Rebecca series. 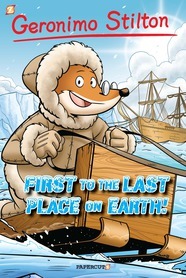 Italy’s bestselling prose series starring a time-traveling squirrel named Geronimo Stilton has done so well in the U.S. that Italy ran out of books and now Papercutz creates them. 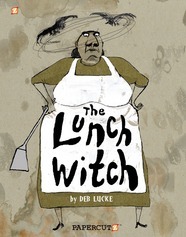 Original graphic novels were an organic movement from the Geronimo Stilton books and Papercutz’s first original title was Deb Lucke’s THE LUNCH WITCH, followed by THE RED SHOES AND OTHER STORIES by Sandra Marrs and John Chalmers who create comics under the name Metaphrog. 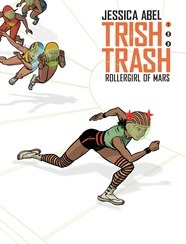 This November the house is publishing TRISH TRASH: Rollergirl of Mars, a YA SF graphic novel offering diversity—the book has a multiracial heroine—that was originally published in France but created by noted American cartoonist Jessica Abel. 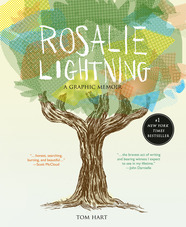 Women writers and artists have historically been under­represented in graphic novels, but that seems poised to change based on the number of high-profile titles set for release in the coming year, ranging from humor to journalism to memoir and beyond. 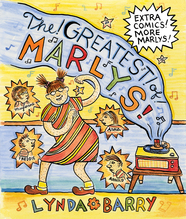 Among the most highly anticipated is Lynda Barry’s THE GREATEST OF MARLYS (Drawn & Quarterly, Aug.), a collection concentrating on one of best-selling Barry’s most beloved characters, eight-year-old Marlys. 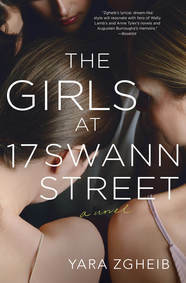 Through Marlys, Barry delves into the highs and lows of childhood and adolescence, capturing in unflinching detail the amusement and the horror of coming of age. 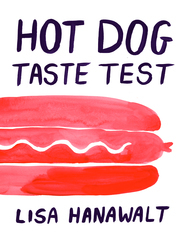 Lisa Hanawalt, perhaps best known as the designer behind the distinctive look of the animated Netflix series BoJack Horseman, moves fluidly between wit and pathos in HOT DOG TASTE TEST (Drawn & Quarterly, Jun.). While Hanawalt explores (and explodes) foodie culture in this new book, she also investigates relationships, identity issues, and more, all delivered in beautiful watercolors and an original and immensely funny voice. 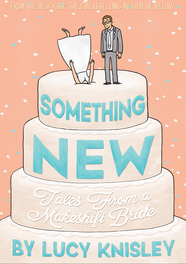 Slightly less provocative but no less interesting an exploration of one artist’s quest for self-expression is Lucy Knisley’s memoir SOMETHING NEW: Tales from a Makeshift Bride (First Second, May), which details Knisley’s ventures in putting her own stamp on every facet of her wedding, from sewing her own dress to building the very barn in which the ceremony was held. 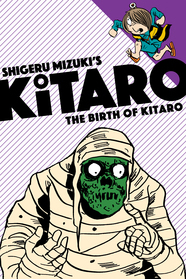 Riad Sattouf’s THE ARAB OF THE FUTURE, VOL. 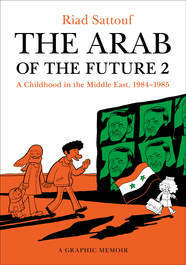 2: A Childhood in the Middle East, 1984–1985 (Holt, Sept.), the sequel to THE ARAB OF THE FUTURE: A Childhood in the Middle East, 1978–1984, continues the author’s experiences moving among France, Libya, and Syria as a child. 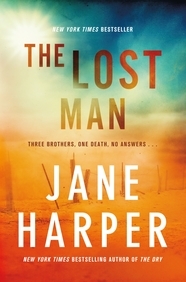 The second book finds the Sattoufs settled in Syria and struggling against obstacles both local and political. 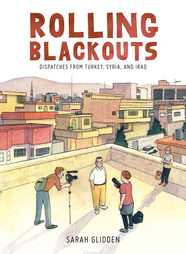 Also exploring the Middle East, specifically the legacy of the Iraq War, is Sarah Glidden’s ROLLING BLACKOUTS (Drawn & Quarterly, Oct.), in which the author describes her travels as a journalist in Turkey, Iraq, and Syria.